LED or Light Emitting Diodes was first discovered in 1907, but the process of production was only improved recently in 2002. Now LED is the lamp of choice due to its efficiency, durability and length of life. Let's look at LED versus the other light sources and then the actual products. LED will last 13 years versus 3-5 months for incandescent. Think about that. The average person would never have to change a light ever again (based on the time we now live in homes). I have LED on a tall ceiling for that very reason. LED is also 5-7 times more efficient than incandescent, so it cost less to run. It also emits almost no heat versus 300 degrees for an incandescent, so there is less HVAC costs (our appliance showroom is all LED). CFL or Compact Fluorescent Lighting has been the bulb of choice for 20 years. LED is still a better choice, because the color or quality of light is much better. Fluorescent washes color especially in kitchens. LED will also last longer and contain no elements of poisonous Mercury like CFL (relax if you already have CFL, it is a problem to dispose of them nationally). LED renders blue naturally, and only a few companies have perfected the white light necessary for interior lighting. So be careful before you buy any LED Light. LED will be more expensive than incandescent or CFL, but should more than pay for itself in replacement bulb costs and energy savings depending on useage. LED would be a natural for flush mount lights, but you don't see many decent ones. I really like the series from Tech Lighting. 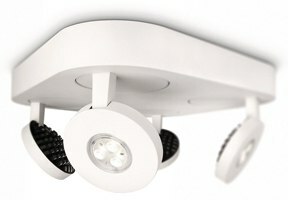 Tech Lighting has designed a few fixtures that really have good features. The first is The Cirque series. This fixture is available in 2 sizes, 6” and 11” diameter, and in chrome, satin nickel and antique bronze finishes. Second is the Boxie series. This is a 5.3” square fixture on the small size and 9” square on the larger. The same finishes as the Cirque are available for the Boxie series. The large size uses ONLY 20 WATTS total. This is approximately equal to about a 100 watt lamp. It is a compact fixture so it would be great for a small room or hallway area. They work very nicely for bathrooms as well. The smaller sizes also works for hallways and possibly on lower ceilings or used in multiples in place of recessed lighting. They are also able to be installed in WET locations making them a great light for showers. The small size is about $180.00 and the large size is about $300.00. 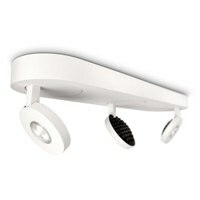 Some other LED fixtures that are great for some other locations. Phillips has a series that is great for small kitchens or kids rooms or possible playroom or “finished attic” spaces. They are several different sizes and configurations and are versatile and (kind of fun). The technology and creativity is moving rapidly for great designs and good quality lighting with features that apply to today’s lighting trends and energy restrictions. Remember: The best part of LED is you wire it and forget it. The fixture will last that long without relamping. 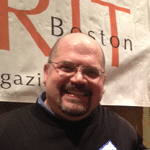 Nick Paternostro has 20+ years of lighting sales experience currently works in the lighting department at Yale Appliance + Lighting. In his spare time Nick enjoys cooking, gardening and spending time with his family.